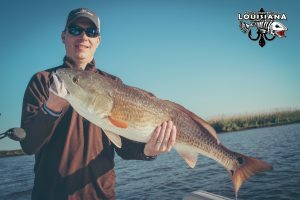 Springtime Redfish in Delacroix is on Point! 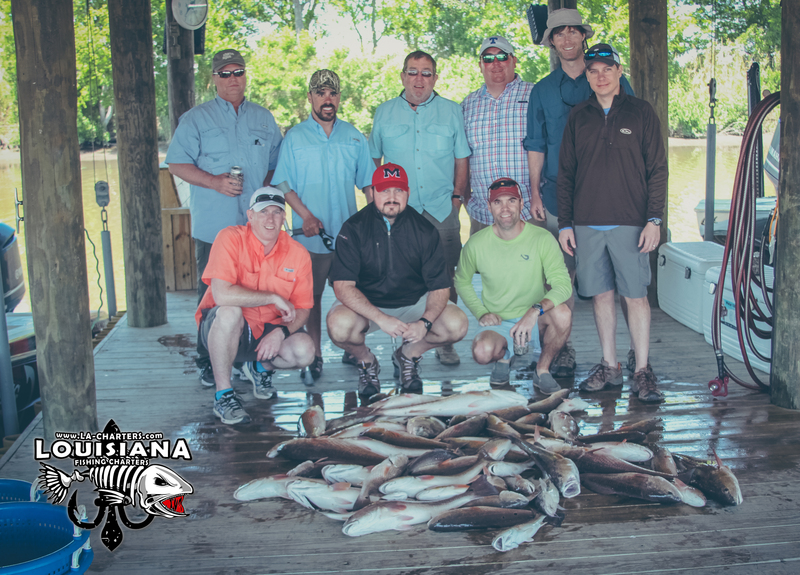 Right now in Delacroix, Louisiana the redfish are more aggressive than the security team on a United Airlines flight. The annual transitional movement of bait around the marsh has these fish fired up. The water is clean in many areas due to a strong Southeast wind last week and that makes the fishing a whole lot easier. 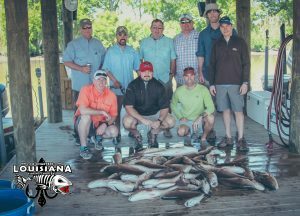 This is the kind of Louisiana charter fishing that we live for. We are finding fish along the broken edges of large bays and lakes. Since it has been so windy lately we are positioning our boats so that we can cast with the wind. I like to find a good windblown island and have my customers cast out about 10-15 yards off the island. We are using Boat Monkey Float corks because they create so much action on the water’s surface. Sometimes the fish like a lot of popping action and sometimes they like for the bait to sit still. You will just have to try different techniques until something works better than the other. The key to locating the fish is obviously clean water. Another thing I am looking for is patches of milfoil grass. 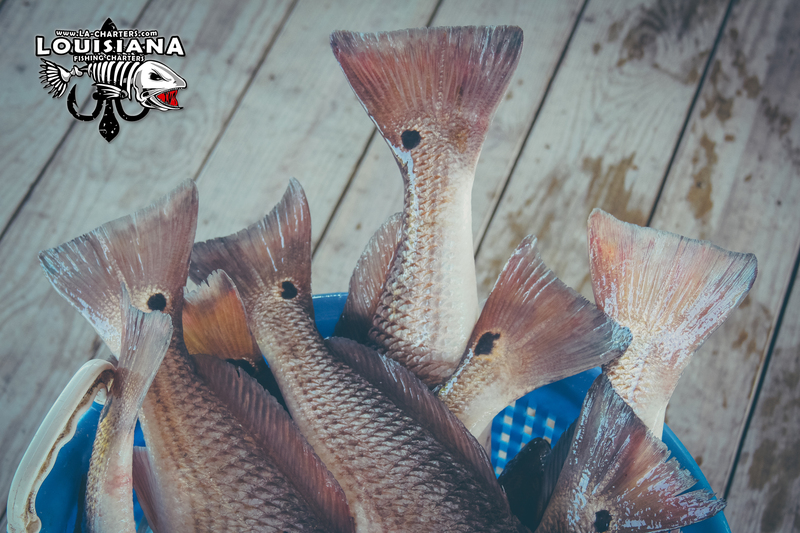 Redfish love to use the milfoil as an ambush point for minnows,crabs, and shrimp. Once you find an area you are confident in be sure to sit for at least 10 minutes. I have noticed that it’s been taking a while for the schools to notice the action of the popping corks. 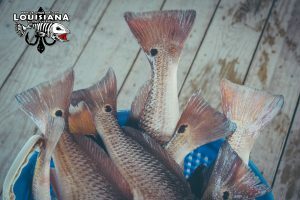 Once they do however, we have been catching on average 10 redfish on each island, so be sure to fish for a while once you get a few bites. Another thing to consider if you’re coming to Delacroix this week is that gnats have made their annual appearance. be sure to bring a good gnat repellant such as Cajun Mist or Amber Romance. The typical OFF for mosquitoes is really not the best spray for gnats and those little suckers can ruin a fishing trip in a hurry if you don’t protect yourself against them. New Orleans red fishing can be a lot more enjoyable if you take this into account. As the wind continues to lay down, fishing should stay consistent. If you’re coming down to Delacroix and need lodging be sure to check out our Pelican Roos Lodge and Fishing Cabins. Our accommodations are unmatched by any other place in Southeast Louisiana. And if you want to try a redfish guide Louisiana style, we can help you with that as well.